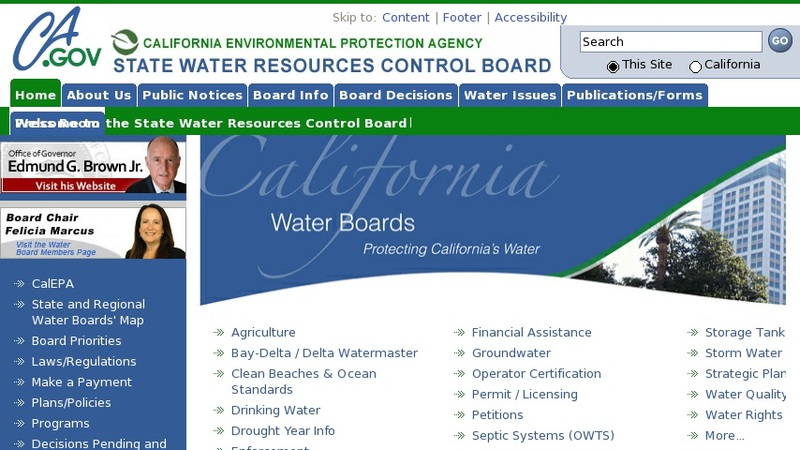 From this website one can link to laws and regulations related to water and water issues in California, as well as to the state's nine regional control boards. Topics covered include water education, water quality and water rights, as well as various programs such as blue-green algae, environmental justice, irrigated agriculture, septic, and storm water, among others. This website is a good source of California-based policy on water resource issues.